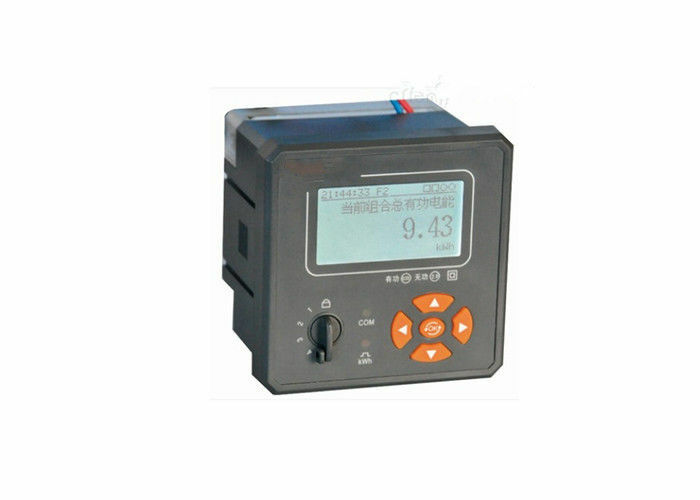 LCD multi-functional network meter can highly precisely measure the general power parameters in three-phase grid system: three-phase voltage, three phase current, active power, reactive power, power factor, line frequency, active energy, reactive energy. It also has the function of communication interface, electrical pulse output, four-way switch input, four-way switch output, and four-way analog output. With the communication protocols, it is able to give LED display on-site and remote-site communications. The LCD multi-functional meter is convenient to install, easy to wire, and simple to maintain.It has few projects and can be set input parameters as field programmed. And it can communicate with different PLC and industrial computers in the network. Reliable Design: It is a generation of products with keypad to input encrypted numbers. Anti-Tampering Detection: Terminal cover and top cover open detection.